Hi ya, Holidays. Welcome, Pal. Be merry! A memory or a tale? "Mickey!" The little girl squealed. "Look mom, it's Mickey Mouse!" She tugged at her mother's sleeve as they reached the front of the line. "Hi ya, pal!" Mickey greeted her as she ran forward to get her picture taken. "Around here,' Snapped her mother, 'we say, Hello friends." She dragged the now crying little girl away. "Why did Mickey call me Pal? Why didn't he say Hello? Why, mommy?" The little girl wailed. Her mommy pursed her lips. "Obviously, Mickey has never been properly schooled. This is the Magic Kingdom, not EuroDisney!" Mickey Mouse's friend overheard and whispered into his pal's ear. "Mickey, be sure to say, hello, friend from now on, ok?" Mickey nodded and swallowed the lump in his throat as the next little boy came forward for his hug and a photo. He wasted no time proving he understood that it was offensive to say, Hi ya, pal. He stuck out his gloved hand and said, quite properly, "Hello, friend." "Hello friend?" The boy's father repeated, affronted. "What's with the political correctness? Around here we say, Yo, buddy. What are you, un-American?" The man dragged his little boy away as the child asked why Mickey was so rude? Was it because they were from New York? 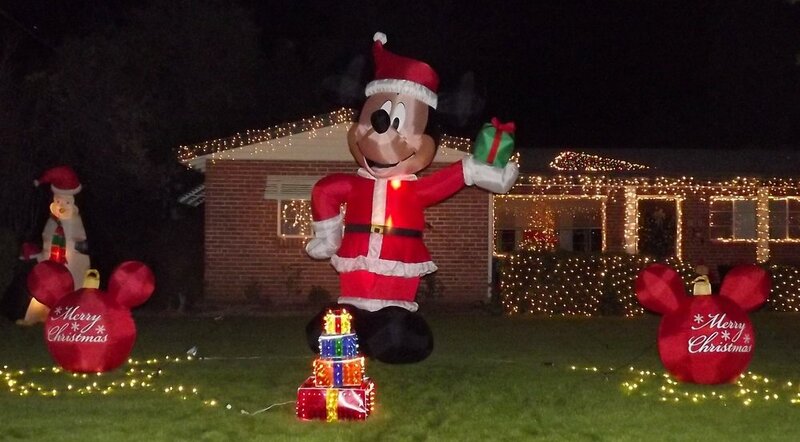 Mickey and his friend were badly shaken, but they decided to try again. This time, they decided to use a phrase no one could complain about. He would just say, Welcome to the Magic Kingdom! That was better. It didn't imply any kind of friendship. It was so cheerful and inclusive, surely no one could complain about that. But, as the next child took their place for a photo opportunity, Mickey called out "Welcome to the Magic Kingdom!" "What do you mean by that? Magic isn't real. And we live in a representative Democracy, not a monarchy. You shouldn't use the term kingdom. You should say, community." By the end of the day, poor Mickey was a nervous wreck. All his Disney spirit was spent. He just wanted to greet his friends and wish them a lovely day in the park. Yet nothing he said seemed to please everyone. His friend tried to cheer him up. "Don't let it get you down, pal. Tomorrow you don't have to say, hello, or welcome, or even yo." "Why not?" Mickey asked, perplexed. Surely he hadn't been fired from his own theme park! "Because, tomorrow starts the 25 Days of Disney Christmas. You can say, Merry Christmas!" Little did Mickey or his friend suspect. The next day Mickey took over for Goofy at the cocoa and cookies party. He was really excited to meet all his new friends who were lined up to take pictures, shake his hand, and get a hug. He straightened his bow tie and tugged at his sleeves. "Ready to spread some cheer!" He reported to his friend with the headset. His buddy escorted the first family through the queue. Mickey waved in excitement. "Merry Christmas!" The family objected. "We don't celebrate Christmas. It's an invention of the late Roman Empire. We believe Jesus was born in the Spring. Christmas is an excuse for excess and commercialization. You should be ashamed of yourself." Mickey apologized. He hadn't meant to be disrespectful of anyone's religious beliefs. As the family left, he decided to try a different tack as the next family approached. He told his friend to ask the family discreetly what their religion was before they came to meet him, so he could properly greet them and wish them a happy holy day. His friend dutifully did as he asked. As the little boy approached, Mickey waved and shouted, "Happy Kwanzaa!" The little boy and his sister were delighted. "Happy Kwanzaa! They shouted back." Now Mickey had the right of it. As the line snaked forward, he greeted each guest with the proper holiday salute. But just when he thought this system would be perfect, his friend with the headset got called away. "I have to help with an emergency by the Barnstormer. Will you be alright for a minute or two?" Mickey knew his friend wouldn't be leaving if it wasn't important, so he said, "Sure." But he wasn't so sure at all. 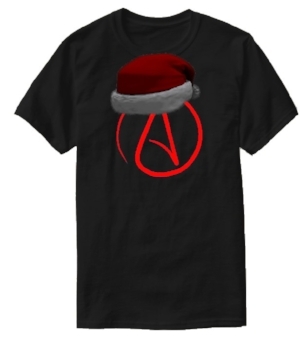 Atheist A t-shirt available at several sites online without Santa hat. Sorry. This is just artist rendition. As the next family approached, he saw the big A on his new friend's tee-shirt. He wasn't positive what it meant, but he had an idea. Suddenly he didn't know what to say. He couldn't say Merry Christmas, could he? They wouldn't like Happy Kwanzaa or Peace Be Upon You This Eid either, probably. He just stood there, not saying anything. "Are you ok, Mickey?" The lady with the baby asked. Her husband, who had the A on his shirt, looked concerned. "Uh, yes, of course. Uh, hi. I mean, hello." He started to stick out his hand, but the lady was leaning for a hug. She realized he was wanting to shake, so offered her hand, but he had already changed to try to hug her. He bumped his nose against her hand. The crowd behind them gasped. Someone said, "Did you see that mean lady slap Mickey on the nose?" Mickey felt terrible. "I'm sorry." "Don't worry, pal. We've been fans for years. But why are you so nervous?" The man had taken the baby so his wife could get a picture. People behind them were whispering. Mickey sighed. "Everyone seems so upset this year. No matter what I say, it seems like someone takes offense at it. I just want to welcome everyone into my park and wish them a fun holiday celebration." The lady asked him why he didn't just try saying, Happy Holidays? "That's a great idea!" Mickey agreed. As soon as the couple had left with their baby, we waved for the next family to come forward. "Happy holidays!" He shouted. The youngster with the little beanie on his head bobbed up and down in excitement. His father beamed as he took a picture with his phone. "And a Happy Hanukkah to you, Mickey." Mickey shook his head. 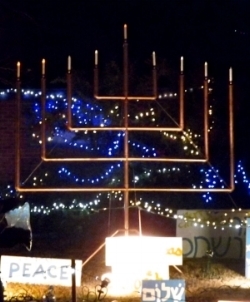 "But, I'm not Jewish." The man smiled. "And I am not a mouse, but since you wished me to be happy on your holiday, I thought I would welcome you to enjoy mine too." That gave Mickey a terrific idea. As the next family approached, he held up his hand for a high five. "Thanks for coming. What holiday are you celebrating today?" The family told him they were there for an early celebration of their anniversary, but they usually celebrated the Solstice. "That's great. Do you mind if I share your holiday?" "Sure, that would be great!" Mickey posed for a picture. Then he said, "And I hope you'll share mine too." "What is your holiday, Mickey?" The father seemed a bit confused. "Disney Day!" He told them. "Every day in Walt Disney World is a great Disney day." The family laughed. They couldn't disagree with that. A couple days ago, I was having a great time shopping. I had my holly-jolly dialed up to eight, and my jingle bells set to six or seven. The Salvation Army guy was ringing his bell, some traditional song was playing on the intercom, and snow had yet to make the roads too icy to drive. My son and I got in line to pay for our eight cats and two dogs' food and litter and treats, and I wasn't even upset about how expensive it all has gotten. The lady working the register looked in her late thirties-early forties. She was slow and was struggling with the change, but she had her holly-jolly turned up high too. She was wearing a Santa hat and a sprig of holly pinned to her shirt. As she handed the bags to the lady in front of us she smiled widely and wished her a happy holiday. To this utter affront to everything American, the woman snidely replied, "And it's Merry Christmas, not Happy Holidays." The cashier stuttered out a Merry Christmas and the lady stepped off. As I paid for my spoiled pets' junk, the cashier stuttered a bit over her Merry Christmas, obviously unsure how to avoid offending me. 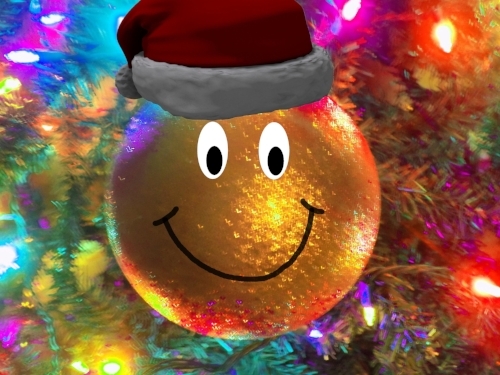 I smiled back and put a little more energy than usual into my, Happy holidays to you too! I just really didn't want the rude woman before us to ruin her holly-jolly if I could help it. I could see by the look on my son's face, it had nearly ruined his. He was probably back down to a two. Luckily, the bell ringer's happy thanks for the mere dollar I dropped in his bucket helped restore a bit of jingle bells, balancing the holly and the jingle a bit. When did it all get so difficult to just wish someone a lovely holiday? Maybe we need to bring back those little smiley faces on the bottom of our receipts. Why does it bother someone to be asked to have a lovely holiday, even if it isn't one they celebrate, or if it isn't expressed in the words they would choose? I want to share my jingle bells and holly-jolly with everyone. I hope everyone has a great time over the coming weeks and months, no matter what they celebrate, or how they choose to say it. And... HAVE A NICE DAY!